This film highlights the significance of art in community life and will help put Borgarnes on the map as an artistic town. This art awareness short film will help educate the public regarding how we create, maintain and fund cultural activities. 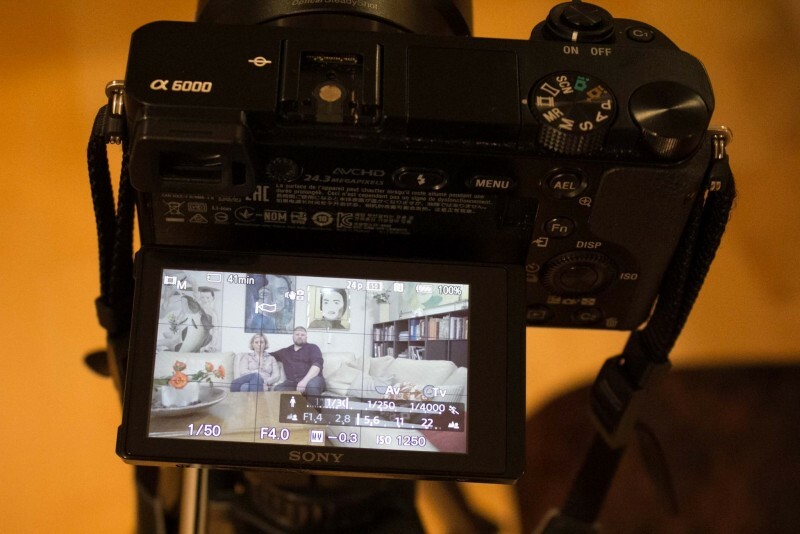 The interviewed residents of Borgarnes respond to specific questions about how art has enhanced or changed their lives. They also describe in detail how they envision an ideal cultural community. 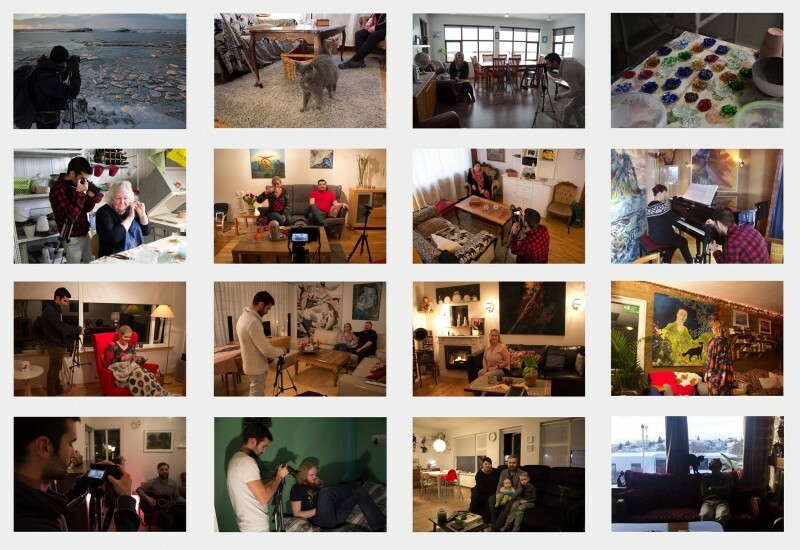 We interviewed 18 folks who live in Borgarnes who were kind enough to open their homes and share their feelings about art. These interviews are a reflection and an account of the manner in which Borgarnes values art and culture. Native Icelandic speakers assisted us in editing and translating the footage. All parts of this film were made in the Borgarnes area in Iceland together with friends and the community. We are minimalist and make good work from using as few resources as possible. 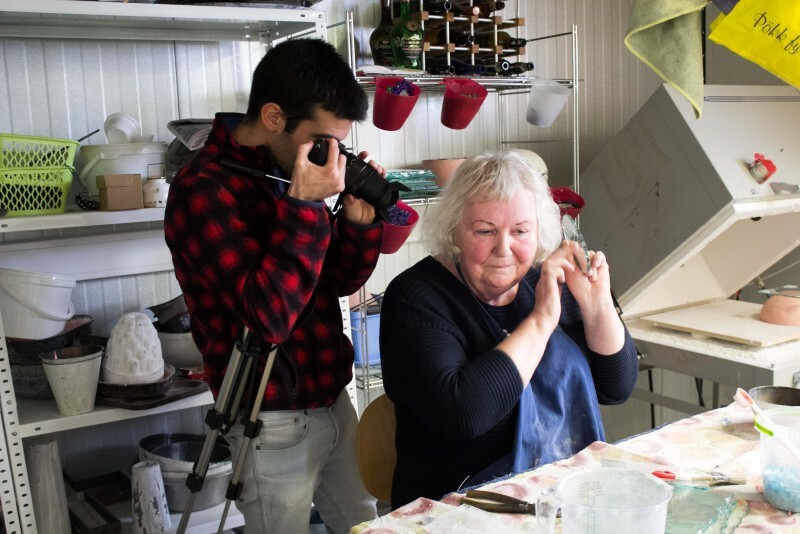 We began our leg work in the middle of February 2016 and up until now we have created the concept, the storyboards, filmed and interviewed 18 residents, screened a preview at the Museum in Borgarnes, and created an official trailer. With help from dozens of friends who translated the filmed dialogues, Alberto was able to make important editing decisions. Many gifted and professional musician friends donated permissions to tracks they created in Iceland. We have received countless enthusiastic professional human support to make it this far. We are in the last phase of post production. While Alberto is editing, we will need to refine the subtitles, Kuba and I are marketing, designing the cover for the DVD, producing the DVD and it's cover, and scouting potential screening locations. If we are fortunate enough to receive support from the Karolina Fund, we will be able to fly Alberto to Iceland, expedite the completion of the film, show the film in a public space, as well as create and package a DVD. The result is a steppingstone to understanding what residents truly want in the arts. It's our intention to put Borgarnes on the map as a creative town and influence government support and public opinion regarding how we create, maintain and fund cultural activities.